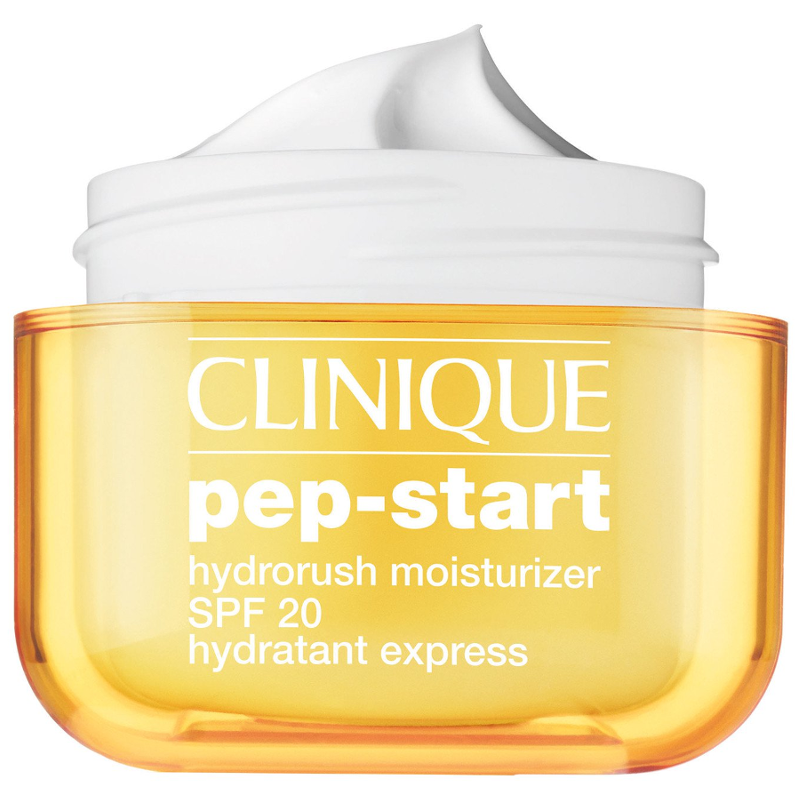 A long-lasting, lightweight hydrator that provides UV protection against sun’s aging rays. 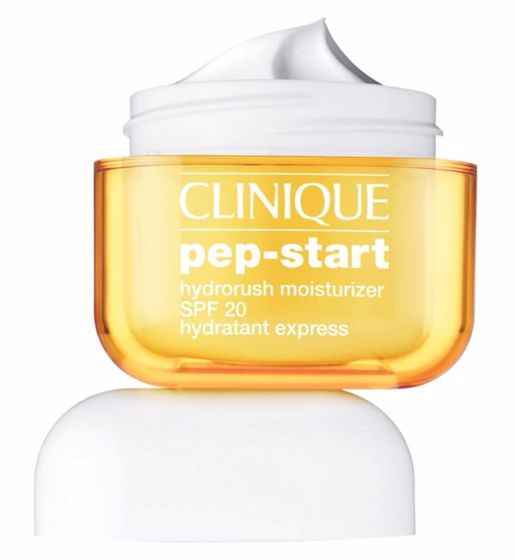 This oil-free moisturizer instantly refreshes and delivers all-day hydration. Thanks to HydroRush moisture barrier technology, the luxurious formula is more prepared to resist outside stressors and aggressors - giving skin a healthy-looking glow while providing UV protection against the sun’s aging rays. Avobenzone 3%, Octisalate 5%. Inactive: Water, Butyloctyl Salicylate, Glycerin, Polyester-8, Polysorbate 60, Dimethicone, Butylene Glycol, Cetyl Alcohol, Sorbitan Stearate, Tridecyl Stearate, Pentylene Glycol, Sigesbeckia Orientalis (St. Paul’s Wort) Extract, Laminaria Saccharina Extract, Plankton Extract, Arabidopsis Thaliana Extract, Lactobacillus Ferment, Ergothioneine, Palmitoyl Tetrapeptide-7, Sea Whip Extract, Hodreum Vulgare (Barley) Extract, Caffeine, Algae Extract, Squalane, Ethylhexylglycerin, Trehalose, Palmitoyl Tripeptide-1, Triticum Vulgare (Wheat) Germ Extract, Micrococcus Lysate, Tridecyl Trimellitate, Tocopheryl Acetate, Dipentaerythrityl Hexacaprylate/Hexacaprate, PEG-100 Stearate, Acrylates/C10-30 Alkyl Acrylate Crosspolymer, Cetyl Palmitate, Sorbitan Palmitate, Sorbitan Olivate, Sodium Benzoate, Ethylene/VA Copolymer, Dimethiconol, Tetrahexyldecyl Ascorbate, Sodium Hydroxide, Sodium Polyacrylate, Polyethylene, Lecithin, Sodium Hyaluronate, Carbomer, Polysorbate 20, Disodium EDTA, Pentaertythrityl Tetra-di-t-Butyl Hydroxyhydrocinnamate, BHT, Chlorphenesin, Phenoxyethanol. Clinique Pep-Start™ HydroRush SPF20 Moisturizer is designed as a light daily moisturizer. 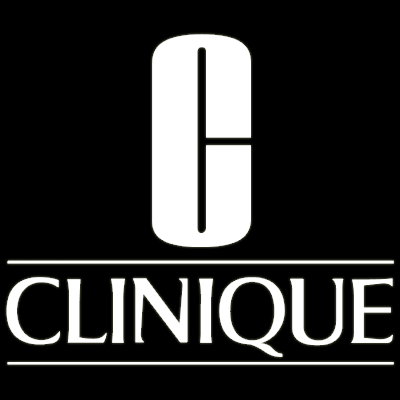 The cream has a standard scent inherent to Clinique brand implying that there is almost no smell. It also feels a bit of a sunscreen. The texture reminds of thick sour cream, but at the same time it is not dense or heavy-textured. I've used a sample of this item and it proved to be very economical. The most added value of this cream is its moisturizing properties and SPF 20 both allowing to use it in the morning for a nice feel of the skin with or without make up. The only upsetting downside is that even after absorbing the cream leaves a shine behind it. It is in general not so noticeable on my dry skin, but may be a disaster for owners of an oily skin. This is a clever cream. 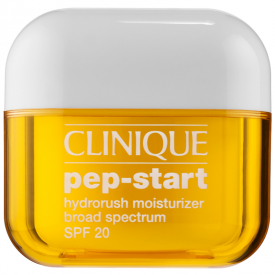 I think it should have a bigger SPF factor than 20, they always tell me on the Clinique counter that they can not make a moisturizer like that because of the texture issues. I like this cream and it is not so expensive. 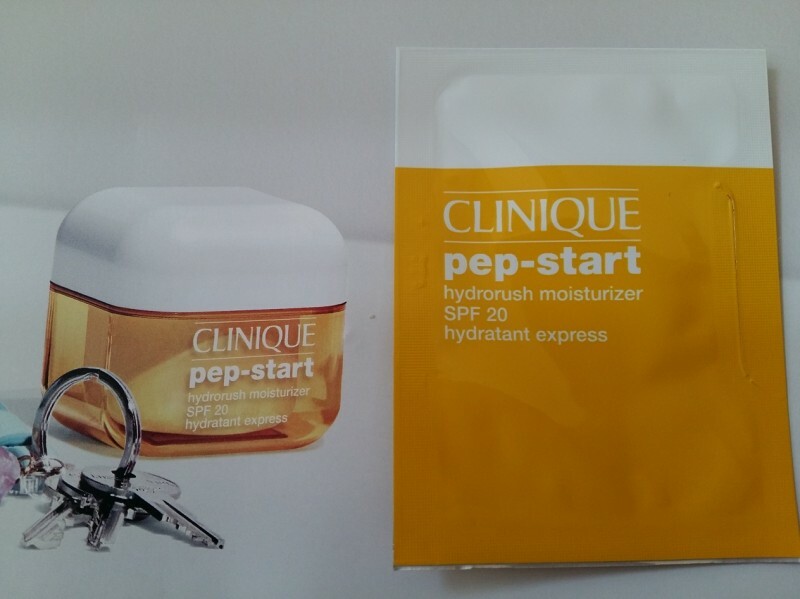 Do not have fragrance, lovely light texture on the skin, absorbs well. I got a sample for a counter and use it nowadays.